Snorg Tees has just released three new t-shirts for fans of the Netflix hit, Stranger Things. To get these Stranger Things t-shirts for just $12, you need to act fast because Snorg Tees generally raises the price after a few days. Get all three tees at Snorg Tees now. 80s kids had some fun hobbies. 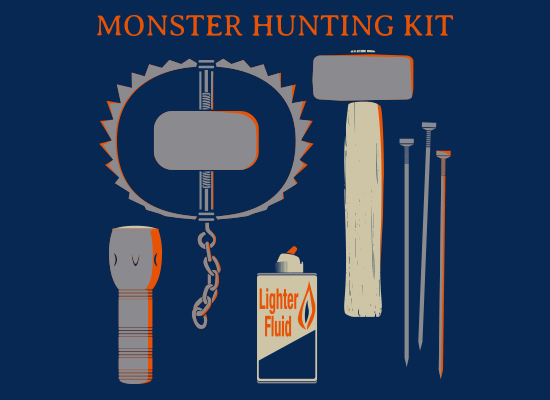 I haven’t seen Stranger Things yet but I guess these are the tools that the kids use to hunt the monster called the Demogorgon. Speak no strange, hear no strange. 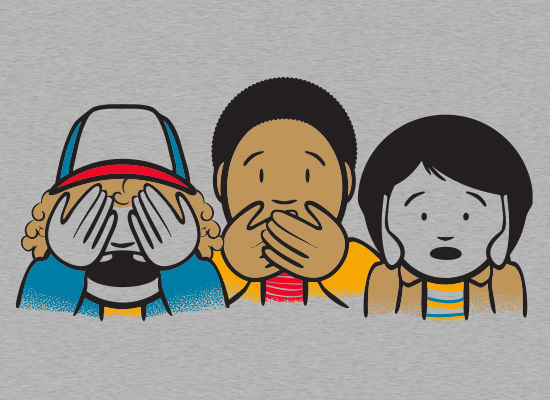 The “see no evil, speak no evil, hear no evil” concept has been adapted for fans of Stranger Things. Waffles & Things. 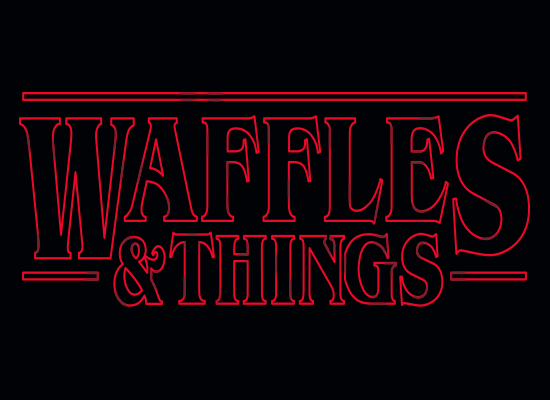 I’m not sure what part waffle play in Stranger Things but they do play a part. See lots more Stranger Things T-Shirts on the Shirt List.